For this week's #ManiMonday, we're testing out some seriously exciting new products from one of our favorite nail polish brands (and this week's Guest Editor!) Essie. Essie now offers Sleek Stick nail appliques that have already been UV cured, so that they give you that oh-so-perfect manicure that you usually see right after leaving the salon. Inspired by the gel polish technology, these appliques come in a variety of high-fashion patterns (and names just as fun as the polishes) that are sure to keep you begging for more. Here's the thing -- these don't just come with the stick-on nail art, but with a cuticle stick, a file and buffer, and 18 nail strips. Spoiled much? Essie knows how to make a girl happy. The appliques are colorful, embellished and textured -- seriously guaranteeing you'll attract attention with just a wave of the hand. 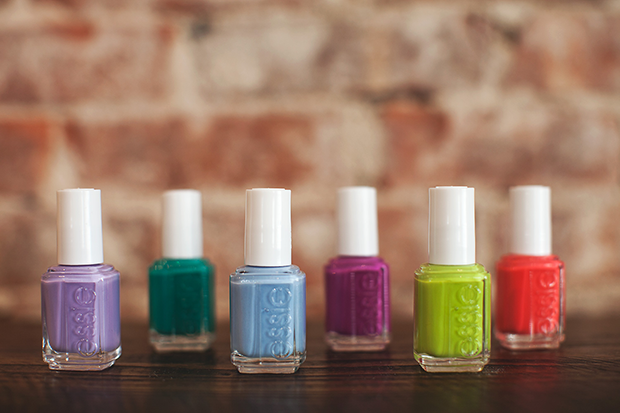 Along with these nail appliques, we're just dying to try Essie's newest summer collection. Who doesn't love a good party accent nail? That just got a lot easier. Luckily for us we've gotten to play with these shades for a few weeks, and we're telling you now - the colors are to die for. 5 of the 6 have a bit of shimmer -- but not that obnoxious glitter some polishes are guilty of -- a sweet, subtle glimmer. Full Steam Ahead is a luscious lavender and Rock the Boat a perfect baby blue. For your more vibrant days you can choose the lively fuchsia The Girls Are Out or live it up this summer with Sunday Funday, a pretty coral. The greens come to life with Naughty Nautical, which is more of a deep sea turquoise, and the only creamy formula of the bunch: a neon green The More the Merrier. We can see this one lasting us all through the summer -- especially for pedicures. From subtly pretty to in-your-face fun, this collection literally has whatever color you need. 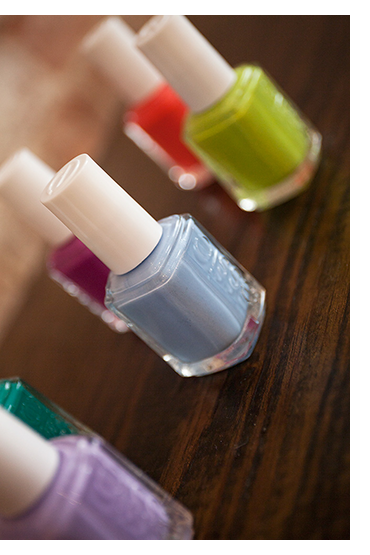 Now this editor may be biased (the entire team knows of my serious Essie addiction) but if you're looking for the colors of Summer 2013, look no further.